Tucked within 4 hectares of lush greenery, located away from the bustling city of Singapore, Changi Cove is a unique getaway destination for corporate retreats. Consisting of both a conference centre and hotel, both the meetings and accommodation needs of the team can be arranged for within a single property. For your meeting needs, take your pick from 8 distinctive rooms- each space is innovative and configurable to suit different requirements for your company retreat. Each room is fully equipped with an audio-visual system and writable walls to facilitate your sessions. We have a team of professionals who are dedicated to ensuring your meeting gets the necessary technical support, coordination and food and beverage options for a productive company retreat. For a limited time only, we are running a special promotion for corporate groups. Let your budget take you further with our latest promotion, click here for more. 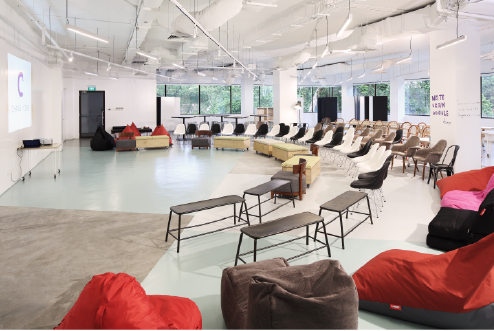 Meeting Room 5, also commonly known as the Ideation Room, is ideal for small group breakouts, presentations, discussions and brainstorming sessions. 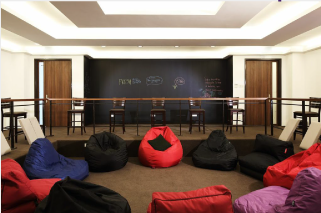 Furnished with bean bags, high chairs and walls that can be written on with whiteboard markers or chalk, Meeting Room 5 is best suited for organizers looking for an informal setting that facilitates open discussion. 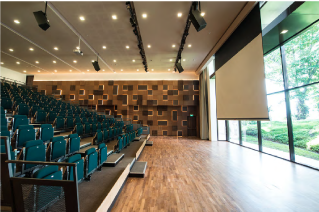 The auditorium has a retractable theatre seating capacity of 210-seater, fully equipped with audio-visual systems and a portable stage. It is suitable for holding conferences, events, seminars, training and talks. The state of the art retractable theatre seats allow the auditorium to be turned into a 4000 sq ft open space and hall, enabling other set ups such as banquet seating, cluster seating and more. This meeting room comes with a mixture of furnishings such as high chairs, high tables, movable tables and chairs, bean bags, sofa seatings etc. 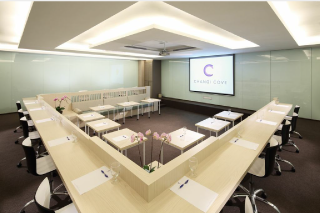 Changi Cove houses meeting rooms that are configurable based on different group capacities and needs. These meeting rooms have partition walls that can open up to another meeting room to accommodate a bigger group capacity. With glass walls that double up as writing walls and presentation walls, these meeting rooms are also ideal for organizers looking for a meeting space that can accommodate a more formal setting. Meeting Room 3 comes with in-built furnishings and a projection system. Designed to host a formal setting, it is suitable for senior management meetings and discussions. 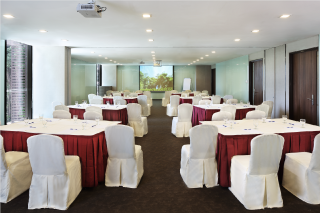 The executive meeting room comes with in-built furnishings and audio visual equipment. 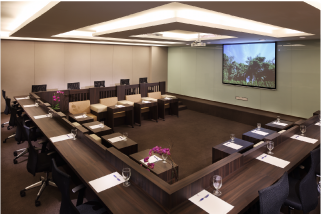 Designed with a semi-formal concept, Meeting Room 6 is popular with groups holding executive and middle management meetings and presentations. 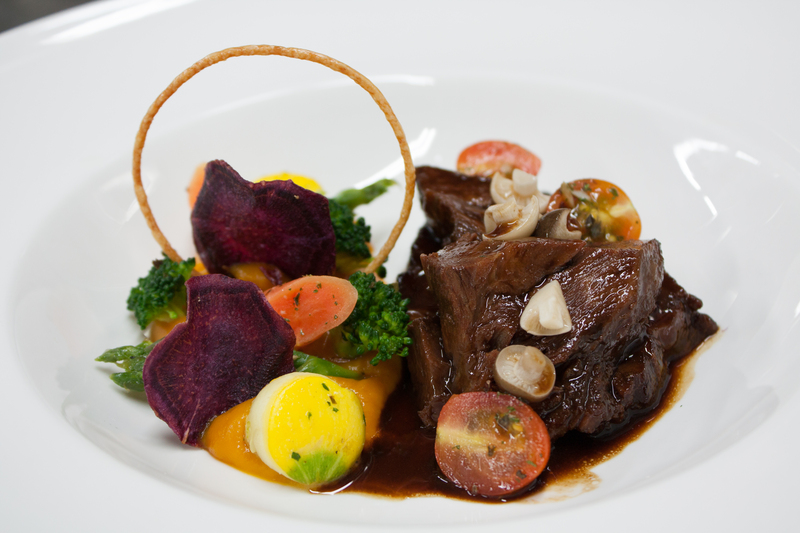 All our events are supported by our skilled in house kitchen. 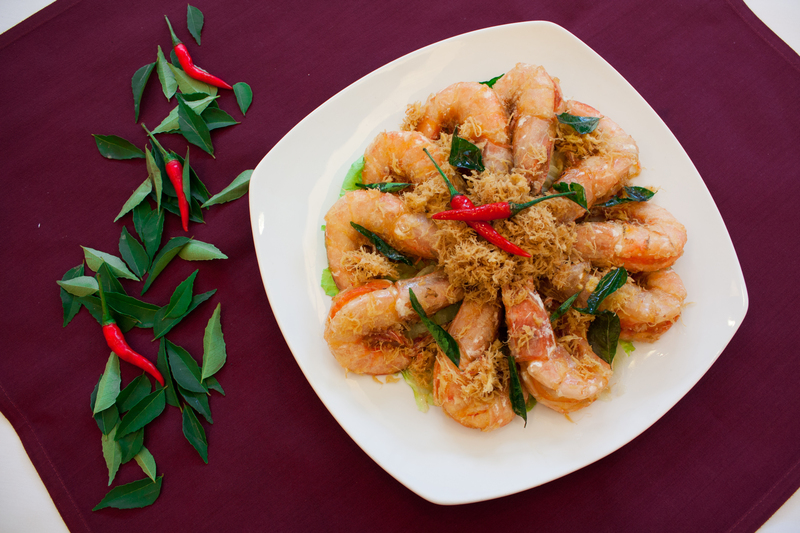 With both expertise in western, chinese as well as local cuisine, our chefs are able to cater to the different taste palate of groups. 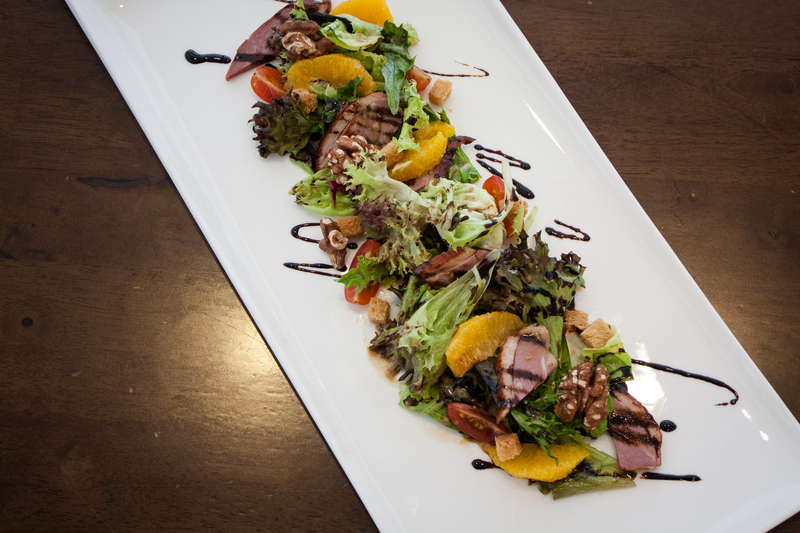 Organizers have the flexibility to choose from a variety of dining arrangements that is best suited for their team. 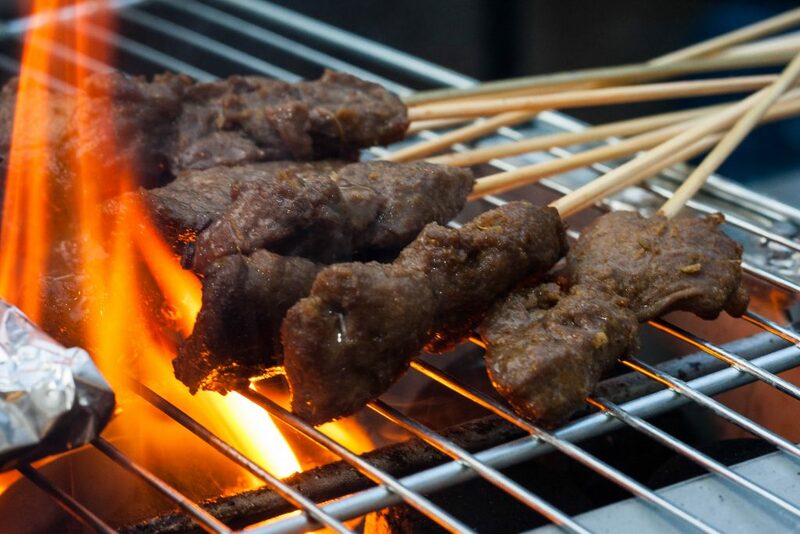 From buffets, chinese or western set meals to barbeque dinners, these are just some of the dining arrangements that we offer. Private dining options are also available. We would love to be of assistance, please tell us more about your event below. 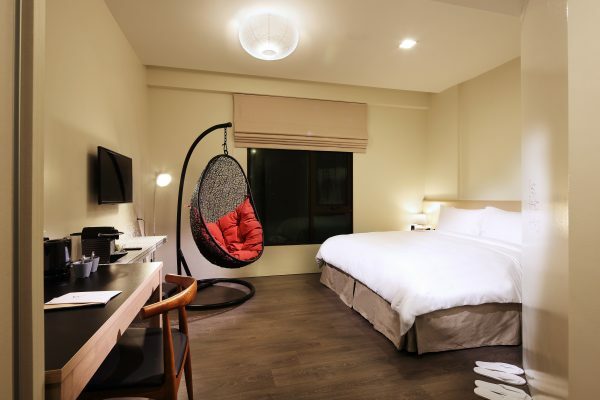 Featuring 112 modernised rooms designed to maximise rest, there are 2 room categories at Changi Cove- the Standard and the Deluxe rooms. Each room comes with either a double or twin bed and an ensuite bathroom. 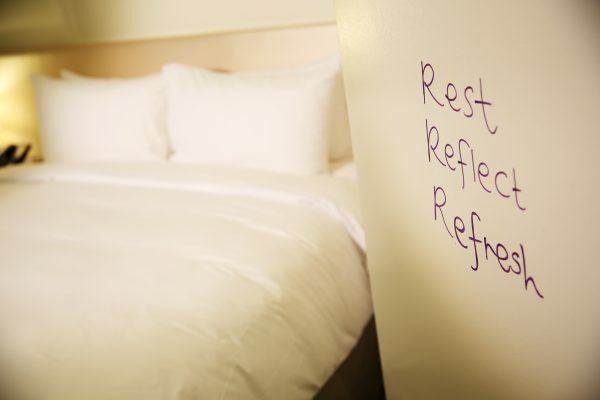 All rooms are furnished with our signature writable walls and a Nespresso machine. 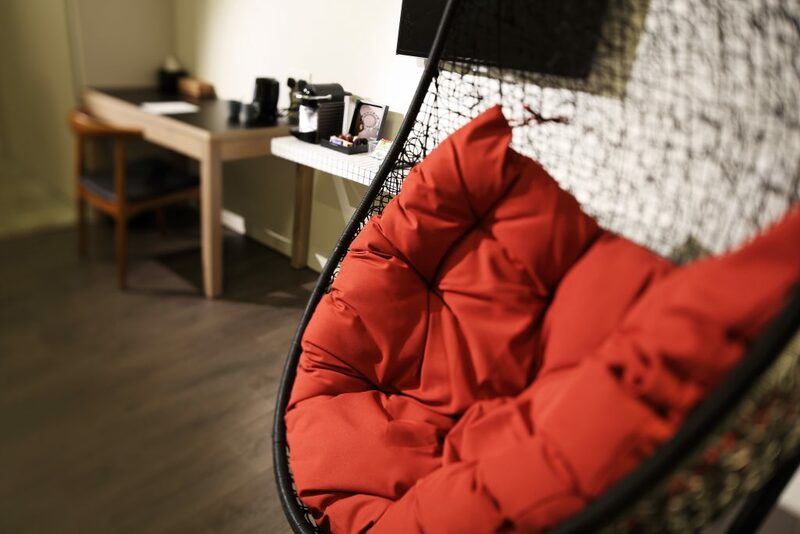 Other in room amenities include toiletries, cable channels, a flat screen TV, iron and ironing board, safety deposit box, hair dryer, electric kettle and phone. Breakfast and Wifi are complimentary for all guests. Breakfast and Wifi are complimentary for all guests. For more information on the rooms, please click here. Understanding that each meeting has its own set of requirements, organizers are given a variety of options to choose from to ensure that the package best meets their needs. Share with us more about your corporate retreat! Write to us by filling up the form below or call us at +65 6922 6122.